We are one of the leading GOTS Certified Global Organic Textile Standard Certified manufacturer 100% Organic Cotton Muslin Wraps Manufacturers, Suppliers and Exporters in Erode, Karur, Chennai South India. we are Oeko tex Certified Muslin Wraps, Oeko Tex Certified Muslin swaddles, Manufacturer, Supplier and Exporter in Erode, Karur and India. 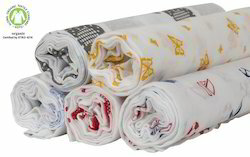 We are Fair Trade Certified Manufacturer of Organic Muslin Baby Wraps, Baby Swaddles, Organic printed Baby muslin wraps, Organic Double Gauze baby wraps and baby swaddles in the size 100cm x 100cm , 120cm x 120cm, Organic Muslin Square wraps in 70cm x 70cm , 80cm x 80cm GOTS Organic Certified Muslin blankets, organic yarn dyed muslin blankets, organic printed muslin blankets in Soft, Durable, Certified Organic Cotton Muslin Wraps for Baby in different colors and patterns and sizes. 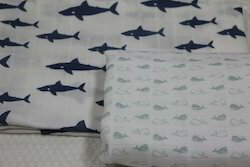 Use to keep baby warm and with more breathable blanket for babies. 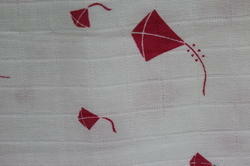 We are GOTS Organic Certified Manufacturer and Exporter of Organic Muslin Wraps for Baby. we are Oeko tex Certified manufacturer of Muslin Wraps, Oeko Tex Certified Muslin swaddles, Manufacturer, Supplier and Exporter in Erode, Karur, chennai and India. We are Fair Trade Certified Manufacturer of Organic Muslin Baby Wraps, Baby Swaddles, Organic printed Baby muslin wraps, Organic Double Gauze baby wraps and baby swaddles in the size 100cm x 100cm , 120cm x 120cm, Organic Muslin Square wraps in 70cm x 70cm , 80cm x 80cm. GOTS Organic Certified Muslin blankets, organic yarn dyed muslin blankets, organic printed muslin blankets in Soft, Durable, Certified Organic Cotton Muslin Wraps for Babys in different colors and patterns and sizes. 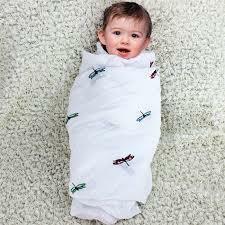 we are one of the leading Manufacturer and Exporter of GOTS Certified Muslin Wraps and Muslin Swaddles in India. 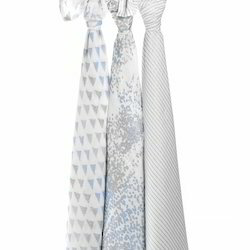 Looking for Organic Muslin Wraps ?